Review of Hair Transplant Related Medical Literature: by Dr. Alan Feller and Dr. Blake Bloxham of Great Neck, NY for Hair Transplant Web. A discussion and examination of follicular hair graft storage during hair transplant procedures. 1.Temperature of hair transplant graft holding solutions. 2.The various holding solutions themselves. Dr. Unger asks a simple but important question: what temperature is best for storing grafts that were just surgically removed from the donor area ? She correctly points out that most hair transplant doctors “will assume that colder temperatures (ideally 4-5 degrees Celsius) are preferred for grafts while outside the body”. But she then goes on to surmise that this way of thinking is “because that is what has been taught for quite a long time at meetings”. She is no doubt correct and goes on to challenge this blind orthodoxy by stating “However, this is not necessarily true.” Thereby opening the door to a deeper analysis of holding solutions in general, their optimal application, and their optimal temperatures. Intracellular-type– ie: HypoThermosol, Viaspan,Custodial – These solutions are optimized for for cold storage. Extracellular-type– ie: Normal Saline, Lactated Ringer’s, Plasma-Lyte A- These solutions are not optimized for cold storage and notes that they can “actually cause an electrolyte imbalance and result in cells that swell when these solutions are chilled”. Dr. Unger clearly makes the reader aware that in surgery physicians may do certain things simply because that is how they have “always been done”- but not necessarily know or understand WHY. A case of taking orthodoxy as a given. Perhaps it is sufficient for the experienced practitioners simply to know something “works and has so for years”; however, Dr. Unger astutely points out that this is not good enough if you are going to train other physicians. More analysis and explanation as to WHY there is consensus should be available. With respect to the topic she picked, best holding solutions, I remember this issue coming up way back during my first ISHRS meeting (the third annual meeting) in 1995. I can’t remember how many articles touched on it, but it was many. And yet here we are today still discussing it. I think what Dr. Unger hit on here is the conflict between the “art” of hair transplantation and the “science” of hair transplantation. To my mind it has been the “art” that has propelled our industry to the height it now enjoys. The “science” has always come AFTER the fact and even been used deceptively in marketing when real world results were hard to come by (this is epidemic in current day FUE -follicular unit extraction- marketing of all types). It may indeed be sufficient to tell a participant in an HT workshop that chilled saline should be used for all surgeries simply because that is what has been used with great success for more than twenty years. That is, if hair transplantation is viewed from the “art” perspective-which is the one I prefer. But I also agree with Dr. Unger’s conclusion that room temperature media is just fine for grafts that only stay out of the body for about 5 hours. In my practice I use chilled saline for the entire procedure. I’ve done it that way for over 23 years and it works. Simple as that. That’s good enough for me. If a company comes out with a solution that is so overtly beneficial to the grafts, then I will eagerly switch to that. But so far none have impressed me. And so I continue to use plain old saline and a chilled petri dish. Many thanks to Dr. Robin Unger for writing the article, sharing her thoughts, and opening a discussion. 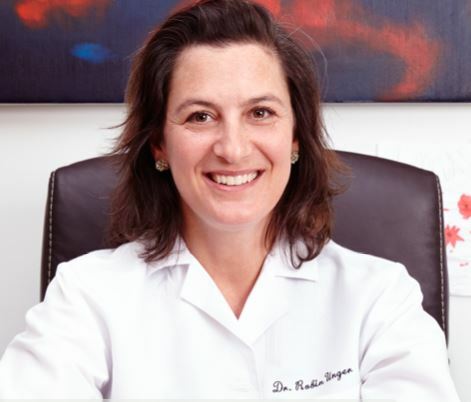 Dr. Robin Unger’s HTW profile.